Two of the lighthouses of this shape are lining up and semicircle is formed between them. The semicircle is the park. 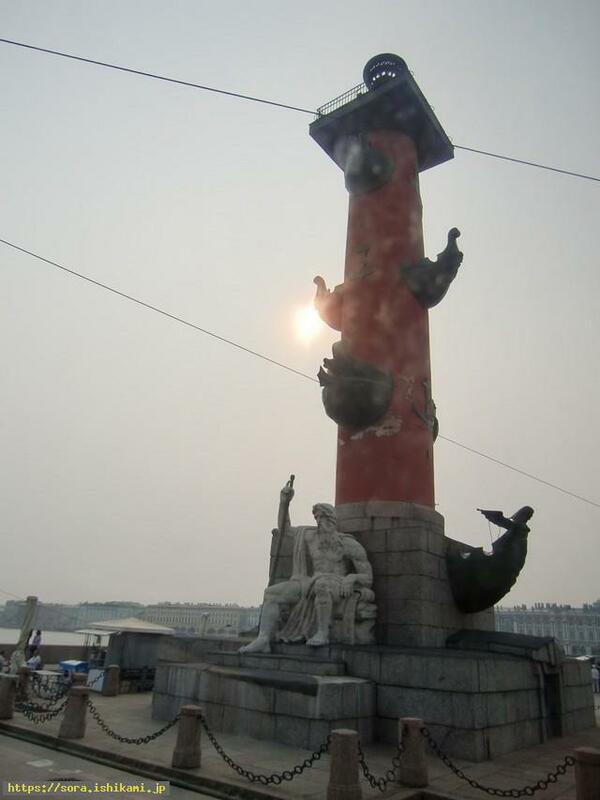 Though there is a stone statue of a giant at the feet of the lighthouse and they say this giant Stone human carried(?) the stone for the foundation of Peter the Great. There is a stone statue of woman giant and there is the same type of lighthouse in the remote place. The bow is put at the foot of the lighthouse but I still don't know the meaning of it clearly. However does it inform that royalism and communism are the same?